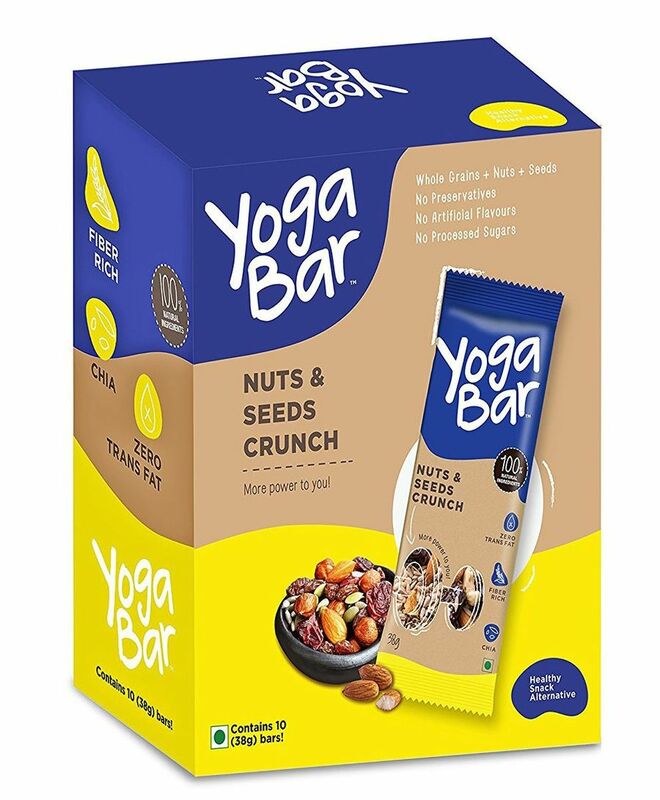 Yogabar presents to you this pack of 10 energy bars filled with the goodness of Wholegrains, Nuts and Seeds. Made to add a little zen to your little one's diet. With the use of simple ingredients and devoid of added preservatives and external additives, these multi grain snack bars are tasty at the same time. Great option for healthy snacking or in cases of missed breakfast. Storage instructions: Store in a cool, dark place. Opened bards should be stored in refrigerator. Allergy advice: This product was processes on machinery and in a plant that also processes wheat, peanuts, tree nuts, sesame soy and dairy products.